Campsite on our first night. 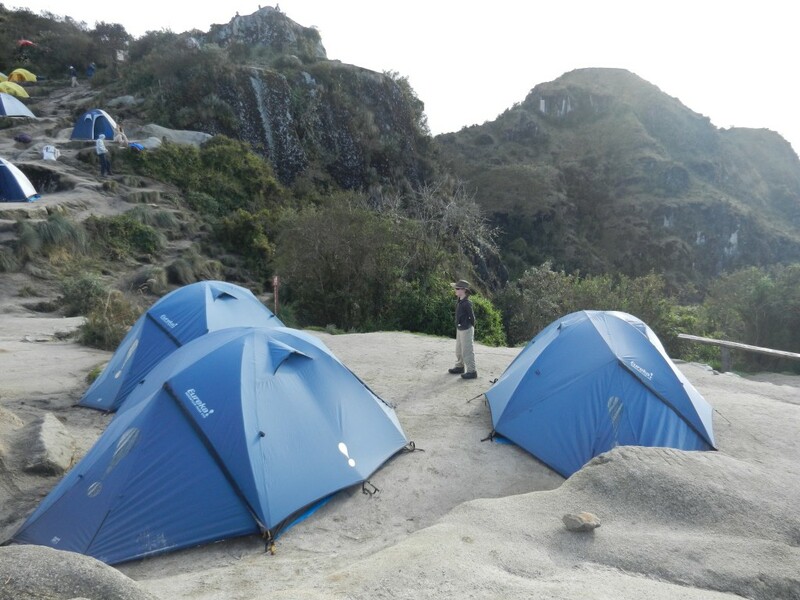 We camped out on the Inca Trail for three nights and spent the fourth night in a hotel in Aguas Calientes before exploring Machu Picchu on the last day. The camping was in many respects luxurious. We had two people to a three-person tent and a separate tent for our meals. Even though it rained most evenings, we were snug and comfortable. The campsites themselves are built on terraces – they are not the wide open spaces we had come to expect from elsewhere in the world. The biggest downsides of that from our point of view were that there was not a lot of room for the kids to run around and there was a fair bit of noise from other campers, especially from the larger groups. 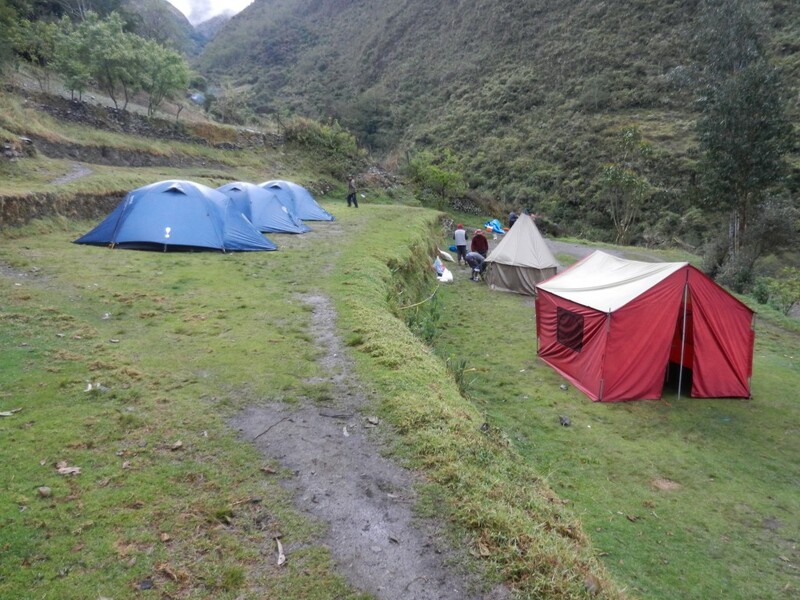 Overall the biggest negative about the campsites, and in fact the whole Inca Trail experience, was the toilets. They varied from bad to indescribably awful. 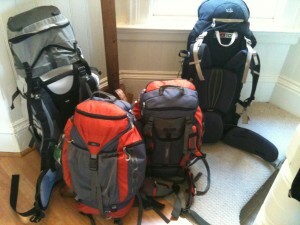 I certainly thanked our lucky stars that we have boys who have a little more flexibility in approach. Having kids along who are girls could be a whole different level of pain. The secondary impact of the awful toilets is that there is a disturbing amount of toilet paper along the trail itself as people decide to go al fresco – that’s a shame and something the people running the trail really ought to address. Anyway, the sites themselves are in lovely spots, especially as you get higher up. Waking up to a clear view over the clouds to the distant mountains is just wonderful. 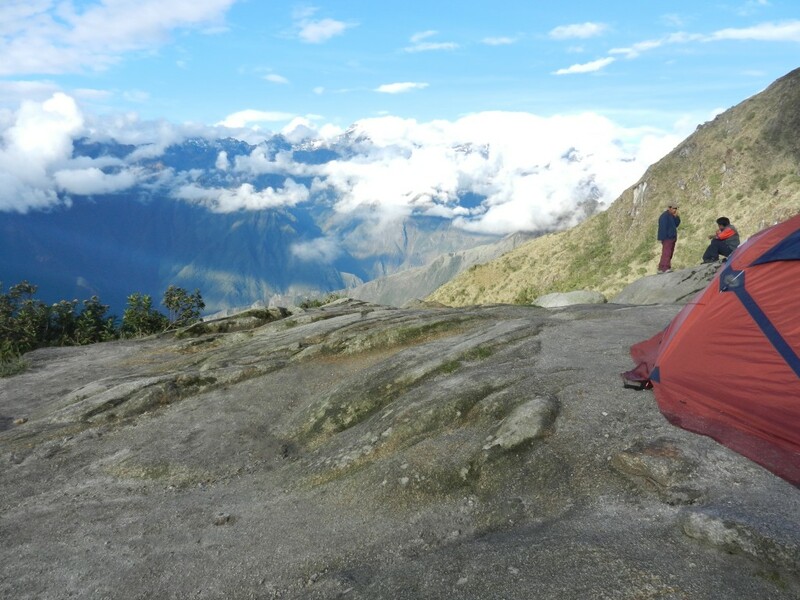 Campsite on the Inca Trail.